Every mow trip includes a mow by a commercial mulching, side discharge lawn mowers. String trimming around all lawn objects, as well as, vertical edged where all pavement meets grass. The lawn mowing service is completed with a blow-off of the paved and mulched areas so no clippings are where they shouldn’t be. 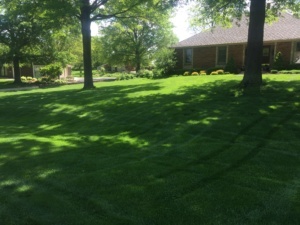 Hometown Lawn offers a full lawn service pesticide program. Discounts are offered when the entire annual program is purchased at the beginning of the year. Click this link to request information about our 4, 6, or 8 -step fertilizer program. Seeding in Kansas City clay should be considered a fine art lawn service. Making sure you have just the right amount of sun, food, water and proper drainage can be a real trick. But it’s what you need to do for success. Full-sun, shade or heavy traffic are all challenges we face. Understanding the technical aspect of the various seed blends lends to success in seeding. Thankfully, we have the know-how to confront all tests these lawns throw at us. I like to refer to sod as the “Instant-Grassification” part of lawn care. 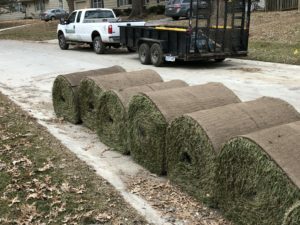 Sod installation is a service we know intimately. It’s not uncommon for us to unroll a 100,000 yds in a year. That’s a lot of grass! 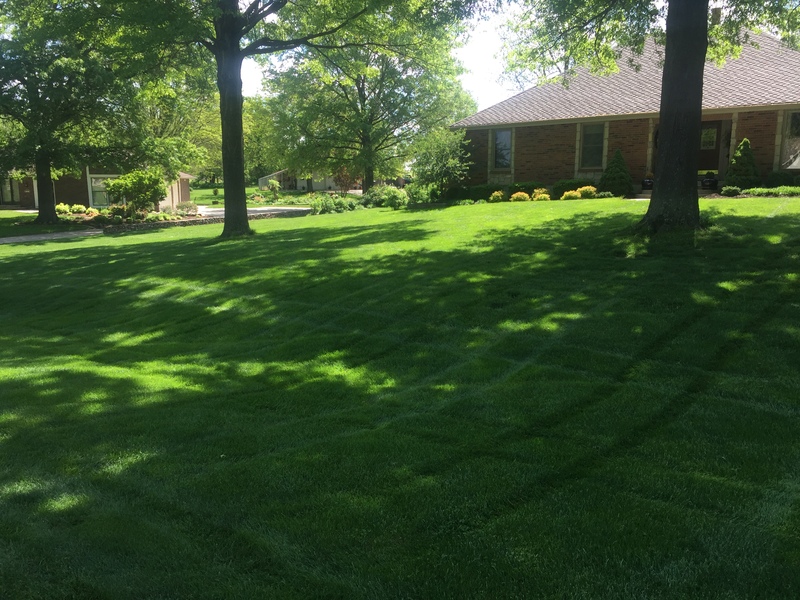 Whether you are looking for a redo of your existing yard or have a new construction project, we’re the company to call for turn-key sod installation. We have experience in all facets of sod installation. Be it residential, commercial, private and public, we do it all.